Located at the new “Main-and-main” in Downtown Orlando, 500 N. Orange Avenue is the most dynamic and sought after address in the City. Currently home to a 118,000 sf office building, 500 N. Orange is one of the best re-development opportunities in the south. Utilizing the existing building , or by developing new from the ground up, this location lends itself to office, residential, or retail development. The site is a 2.25 acre strategically located parcel at 500 N. Orange Avenue in Orlando at the corner of Amelia Blvd. The project will entail demolishing the existing 118,000 Sq. Ft. office building, currently located on the site, and then constructing a 398 unit Residential Wrap project. The property is currently zoned AC-3A/T (Activity Center / Town Center). The City of Orlando is extremely supportive of high density development at the Subject Site. The underlying zoning permits high density multifamily residential. 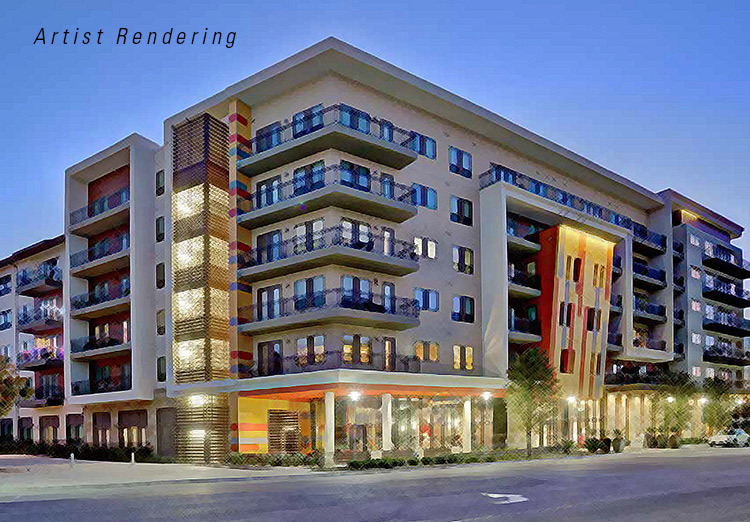 Mixed use development of the site is encouraged by the Density of Intensity Bonus of the City of Orlando. Blending a mixture of uses at the property can result in an increase from 200 units per acre to 400 units per acre. The site permits construction to a maximum height of 400 feet. Based on the current zoning and site size, the property could yield up to 900 units. The North Orange and Amelia intersection connects the financial district of the south CBD, Uptown to the north, and the newly proposed Creative Village (University of Central Florida) to the west. It is at the crossroads of all the major development projects that have occurred and are proposed to occur in the future. Due to its unique geographic location and the continuing demand for residential units, the property is ideally suited for a high density multifamily project. Due to the sites strategic location within 400 feet of the recently constructed Lynx Central Station, this project is considered a Transportation Oriented Development (TOD).